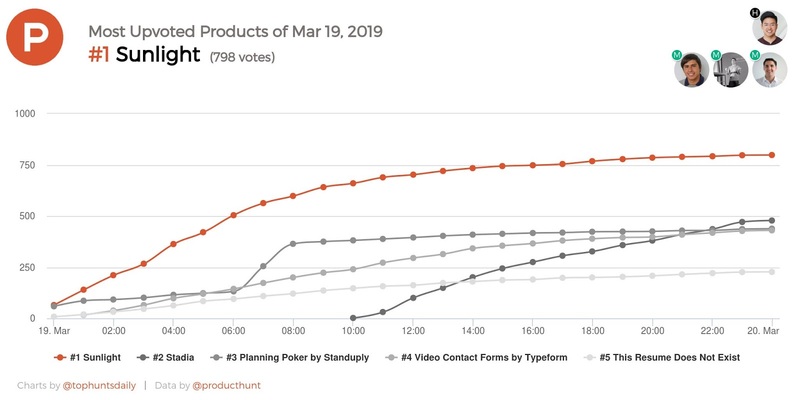 Thanks to your support and that of many of our clients, we were the most voted product on Product Hunt for that day with almost 800 votes, even overtaking Stadia, Google’s new gaming platform! Provide the foundation for building enterprise features: Our entire customer base so far has been for companies 20-150 employees in size. We believe we have a good understanding of how these companies operate and how to enable employees to tap into their learning budget in a simple way. In the meantime simplifying reporting, accounting and operations. However, we have very recently landed our first “large” client. A fast growing German company with 500 employees (expected 800 by end of the year) and 15 subsidiaries around the world. The logistics, accounting, reporting and operations of the latter are slightly different as you can imagine but our new version enables us to do exactly that. Have a better UI/UX that could both get people taking but also feel familiar while simplifying workflows. We believe we have achieved all 3 and are going to be focusing and tweaking things in order to ensure this is the case. So what did we ACTUALLY achieve with the launch.. besides votes? The exposure gained from the launch has been phenomenal. I just checked and we have 922 Upvotes (up from 798 at closing of March 19th, 5 days after launch) , 78 reviews (all positive, there is not even a negative one) and 27 written reviews (all quite positive as well good feedback for improvement). I can admit that my mom is one of those reviews and my girlfriend definitely upvoted but even after taking away close friends and family, it still leaves a staggering number of people that we managed to reach. Ok, so here are the numbers. Since we launched, we’ve had 312 user sign up for a demo account of which 291 opened an actual account. Of these users, 56 actually opened a company account. As you all know, we are B2B SaaS so these 56 is really the key number. This does NOT however mean we now have 56 new clients, it means they have created accounts and it is now up to us to activate, retain, convert into revenue and make sure they are happy enough to bring in referrals. This as you can imagine will be our focus for the coming weeks. In addition to these new potential clients, a number of cold leads reached out and are now interested in finding out more. As you can see, all in all a very positive experience. What did we learn from launching on Product Hunt that can be applied to future launches? Given we are a B2B service, it is hard for anyone that signs up to really understand the value, potential and how it works. Therefore we built a “sandbox” or demo environment where each new sign-up could play around with previously created content, team members, purchases, etc (More on this suggestion here by @philipithomas). This enabled any new user to have a better understanding and feel of what it would mean to have Sunlight working within their organisations. We had 4 different journeys of users to sign-up. We successfully tracked these separately and automated the prospect/contact/deal creation workflow in Hubspot. This is greatly simplifying the follow up and prioritization. We broadcasted to our users & network: We prepared emails to go out to all our user base asking for their support with a direct link on how to vote/support us. This was combined with emails to specific networks of friends and family, investors and advisors. Even though we were the most voted product for the day. We ended up being classified as Product #4 of the day. During the day, we were contacted by Tanguy from Magnetico Ventures as well as Philip from Speedinvest in order to tell us that votes incoming from direct links into Sunlight’s profile on Product Hunt would be discounted. Unfortunately we did not know this at the time all our messages had been sent and therefore many of our votes used this exact procedure. So if we had to do it again, we would change how we ask people to support us. This is I’m sure one of many aspects that @producthunt ranking algorithm takes into account, but the exact weight of each is a bit of a secret (at least to us). Takeaway for anyone looking to do their own launch however, is number of upvotes isn’t everything you need for a #1 rank. Finally I want to thank all our team @rrodrigu3z, Nicolas, Oscarlyn, Jorge, Henri, Gabriel, @carlosxcl @michael.narea, Pamella, Marian, Chelsea, Fabiola for hustling and making sure everything went off perfectly. Amazing job. And a final thanks to @Jonathan Tzou for having supported us and hunted us.